Examples of retaining walls, boulders and decorative stone. This image: Annual mulch, weeding & pruning of ground cover. 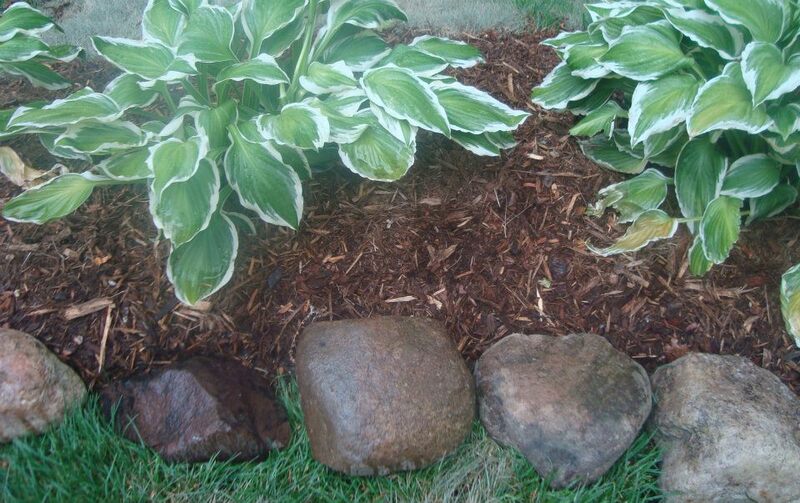 Double shredded hardwood mulch is a favorite among many homeowners. We use quality products with every installation. We seek out suppliers who offer quality products so that we can provide quality work and exceptional results. This Image: This deck was expertly powerwashed before applying this beautiful red stain. We bring the stain samples to you and can assist you in your decision making, if needed. No need to leave your home and wonder how the color will look. We take the guess work out of the equation for a stress free update to your outdoor living space. Before and after images of weeding, planting, decks and more. Click the link to view additional before and after images.